February 21, 2013  Tina Brown, editor of the Daily Beast and Newsweek, joins NPR's Steve Inskeep for another round of reading recommendations. This month, she offers three picks that show how the world looks after the 2001 attacks. February 18, 2013  Overall violence in Iraq has gone down in recent years but lately there's been a string of attacks targeting Shiite interests and security forces. Widespread protests in Sunni areas are calling for the downfall of the Shiite-led government. February 17, 2013  The explosions targeted mainly Shiite neighborhoods. 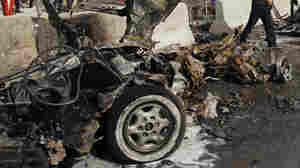 The attack comes amid increasing Shiite-Sunni tension in Iraq. February 13, 2013  Chuck Hagel's nomination to become defense secretary came just short of the required 60 that would have allowed it to proceed to a final vote. The vote, largely along party lines, was 58 to 40, with one senator voting present. Further action is expected later in February. February 12, 2013  Without a deal by March 1, across-the-board federal spending cuts will kick in — including deep cuts to the nation's defense budget. Michele Flournoy, former undersecretary of defense for policy, and NPR's Tom Bowman discuss what sequestration might mean for the U.S. military. Why Is Violence Ramping Up In Iraq? February 5, 2013  Violence has spiked in Iraq in recent weeks. Separate attacks over the last three days have killed more than three dozen people. 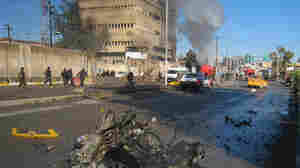 The violence comes amid fresh political upheaval in the country. For more, Renee Montagne talks to Jane Arraf, a reporter for Al Jazeera and The Christian Science Monitor based in Baghdad. January 29, 2013  In a new book about Gen. David Petraeus, author and journalist Fred Kaplan looks at how theories of counterinsurgency have shaped U.S. military policy in the conflicts in Iraq and Afghanistan. 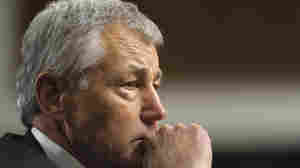 January 7, 2013  President Obama wants Nebraska Republican Chuck Hagel to run the Pentagon. Hagel's confirmation would put four men with close ties from their Senate days at the center of the nation's foreign policy and national security policymaking. And that's something Obama is willing to fight for. December 7, 2012  Sgt. Marilyn Gonzalez and her daughter, Spc. 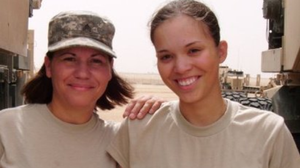 Jessica Pedraza, served together in Kuwait and Iraq from January until December of 2010. But they weren't supposed to go together — the daughter made it happen. 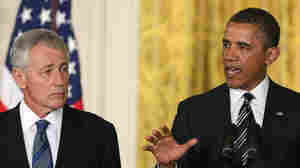 November 29, 2012  As President Barack Obama prepares to enter a second term, he faces a host of foreign policy issues. Syria presents an immediate crisis, China poses a strategic challenge and tensions with Iran continue to escalate. November 27, 2012  Najaf in southern Iraq is beginning to feel the pain of neighboring Iran's economic woes. Business around Shiite sites, which usually draw scores of Iranians for the holy days of Ashura, is way down. 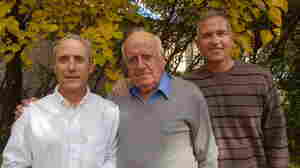 November 25, 2012  Dr. Najeeb Hanoudi, an Iraqi ophthalmologist, befriended the Desert Rogues, an infantry unit, in 2003. Even his son's tragic shooting at the hands of an American soldier never broke his bonds with his "brothers." 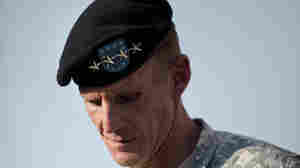 November 21, 2012  "Moral injury" is a term used in the mental health community to describe the psychological damage service members face when their actions in battle contradict their moral beliefs. Thought it isn't diagnosable, doctors and veterans are searching for ways to support those who have experienced this inner conflict. November 20, 2012  If you've seen the film The Hurt Locker, you probably remember a scene where a bomb defuser in an 80-pound Kevlar suit takes the long walk to extinguish an unexploded bomb. Brian Castner, author of The Long Walk, spent years as an explosive ordinance disposal officer in the U.S. Air Force, and knows that long walk well.